My name is Kate Welch. 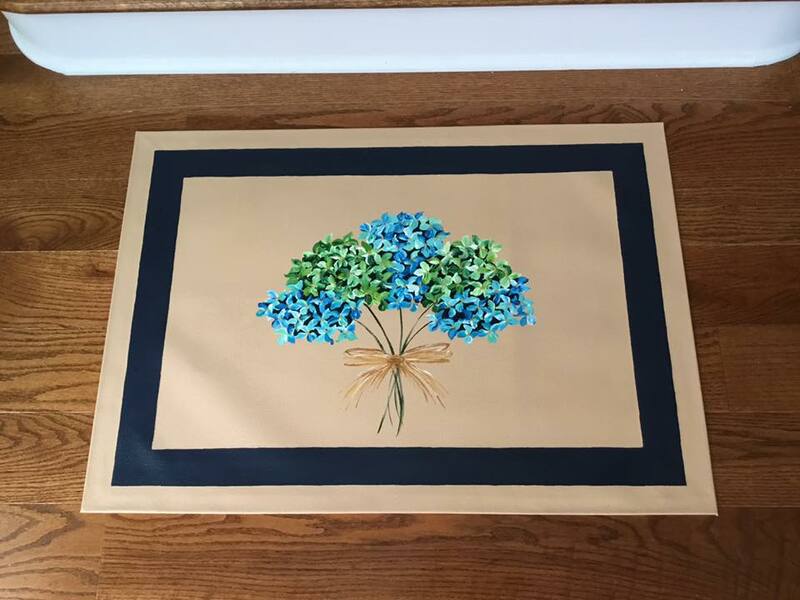 Floorcloths are a great way to have original artwork in your home or business and have a practical use as well. They are beautiful to look at, and a real conversation piece. I paint each floorcloth myself. No stamps or stencils, just original art! Below is a gallery of my floorcloths. If you see something you like you can either request to purchase it or you can place an order with me for purchase. We can customize size, color, and anything else you'd like. Just fill out the contact form and I'll be in touch!